23 February, 22 June, 23 December, 31 December. 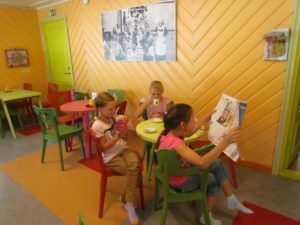 The museum houses a lovely café where delicious rolls and cakes, light meals, juice and, of course, ice cream are on offer. For adults we offer superb coffee – so come and see yourself! We are located in the Kadrioru Park, not far from the Kadriorg Palace that houses the Estonian Museum of Arts, the Kumu arts museum, and the house of Peter the Great. From the city centre, the best way to reach us is take the tram No 3 or 1 to all the way to the terminus Kadriorg and then walk on through the park. Check the travel options from Tallinn public transport planner.